Rock Dust (decomposed granite) is just that. A finely grained granite bi-product that is more coarse than sand. 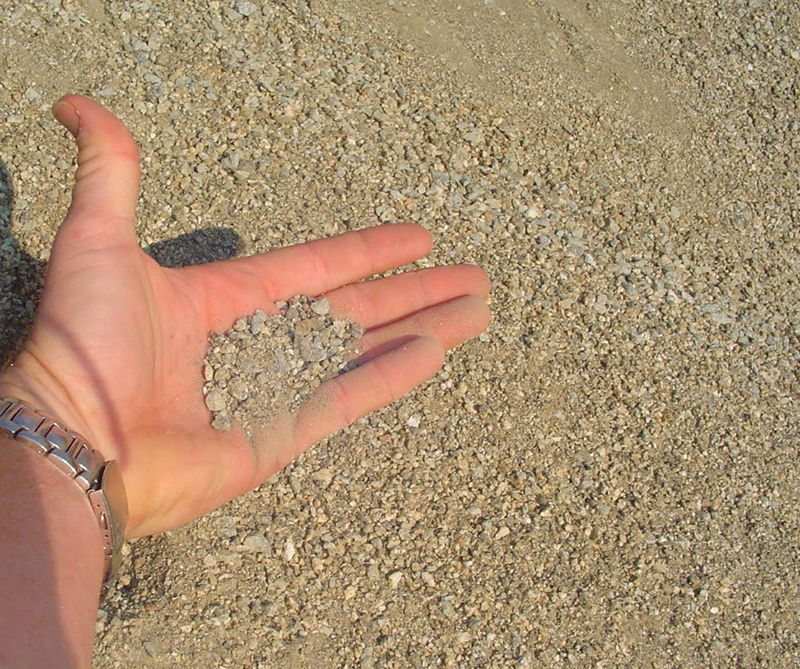 Rock Dust is primarily used for areas that carry a lot of traffic. Rock Dust packs in real well creating a stable ground that will still absorb water. Used for pathways and walkways, Rock Dust keeps mud from being tracked into the house, and suppresses weed growth.